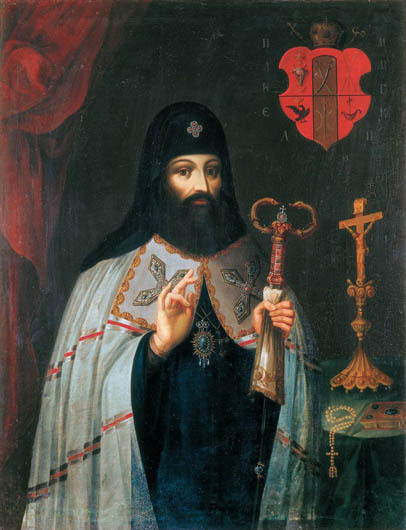 Mohyla, Petro (Romanian: Movilă, Petru), b 10 January 1597 in Moldavia, d 11 January 1647 in Kyiv. (Portrait: Petro Mohyla.) Ukrainian metropolitan, noble, and cultural figure; son of Simeon, hospodar of Wallachia (1601–2) and Moldavia (1606–7), and the Hungarian princess Margareta; and brother of the Moldavian hospodars Michael (1611), Gabriel (1617–20), and Moses Movilă (1630–2). After his father's murder in 1607, Mohyla and his mother sought refuge with magnate relatives in Western Ukraine. He was tutored by teachers of the Lviv Dormition Brotherhood School, and pursued higher education in theology at the Zamostia Academy and in Netherlands and France. After his return to Ukraine he entered the military service of the Polish crown hetman and chancellor Stanisław Żółkiewski and fought as an officer against the Turks in the Battle of Cecora (1620) and Battle of Khotyn (1621). In 1621–7 he received estates in the Kyiv region and, through his friendship with Metropolitan Yov Boretsky, became interested in affairs of the Ukrainian Orthodox church. 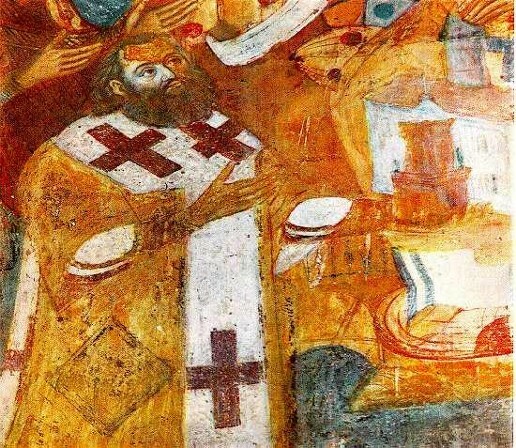 In September 1627 a dietine in Zhytomyr chose Mohyla to succeed the late Zakhariia Kopystensky as archimandrite of the influential Kyivan Cave Monastery. As archimandrite and a deputy in the Polish Sejm Mohyla successfully lobbied the Polish government to restore the legality of the Orthodox church in the Polish Commonwealth, which it did in its 1632 ‘articles of appeasement,’ and King Władysław IV Vasa granted the church the right to have its own hierarchs (see Church hierarchy) as long as the candidates were ratified by the government. To act upon that right as quickly as possible, in November 1632 the Orthodox deputies in the Polish Sejm nominated Mohyla the metropolitan of Kyiv in place of the more radical Isaia Kopynsky. 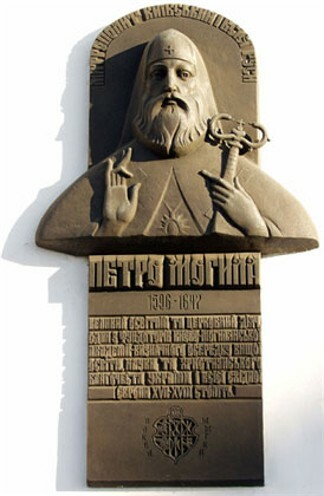 Mohyla was consecrated on 7 May 1633 in the Dormition Church in Lviv. As metropolitan Mohyla improved the organizational structure of the Orthodox church in Ukraine, set strict dogmatic guidelines, reformed the monastic orders, and enriched the theological canon (see Canon law). He gathered together a circle of scholars and cultural leaders known as the Mohyla Atheneum (Atanasii Kalnofoisky, Yosyf Kononovych-Horbatsky, Sylvestr Kosiv, Isaia Kozlovsky-Trofymovych, Ihnatii Oksenovych-Starushych, Sofronii Pochasky, and Yosyf Tryzna), which produced an impressive corpus of theological scholarship. 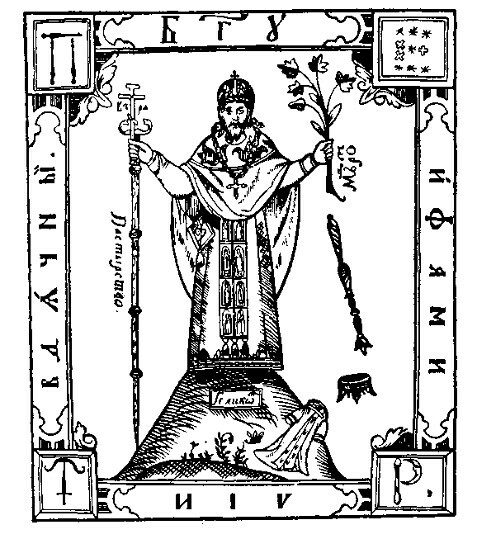 Under Mohyla's guidance the circle prepared new editions of the Bible and the Lives of the Saints; elaborated a new catechism, Orthodoxa Confessio Fidei, which was ratified by the Orthodox sobor in Kyiv in 1640, by the sobor in Iaşi in 1642 (with emendations), and by all of the Greek Orthodox patriarchs in 1643; and issued an important work of dogma, the polemical treatise (see Polemical literature) Lithos, albo kamien ... (Lithos, or Stone ..., 1644; repub in Arkhiv Iugo-Zapadnoi Rossii, vol 9, no. 1 ), a reply to Kasiian Sakovych in defense of the Orthodox faith and rite, possibly written by Mohyla himself. Mohyla wrote introductions to a nomocanon (1629), a liturgicon (1629), an anthology of prayers (1636), a didactic gospel (1637), a triodion (1640), and Evkhologion, al’bo molytvoslov yly trebnyk (Euchologion, or a Sacramentary or Trebnyk, 1646), also known as the Great Euchologion of Petro Mohyla, and he is the author of Krest Khrysta Spasytelia i kazhdoho cheloveka ... (The Cross of Christ the Savior and of Every Man, 1632), which contains an emblematic poem and the text of one of his sermons. Manuscripts from his archive (150 pp) were published in Arkhiv Iugo-Zapadnoi Rossii (vol 7, no. 1 ). In 1631 Mohyla established a school at the Kyivan Cave Monastery. In 1632 it was merged with the Kyiv Epiphany Brotherhood School to create a college, which eventually became the largest center of scholarship and education in Eastern Europe, the Kyivan Mohyla Academy. Ukrainian printing flourished under Mohyla's guidance, particularly at the Kyivan Cave Monastery Press. Mohyla himself edited several liturgical publications there, and he brought in the best scholars, master printers, and engravers to work at the press. 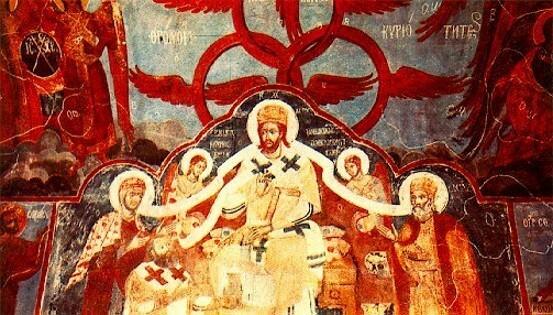 Mohyla donated a substantial portion of his personal fortune to the uncovering and restoration of medieval churches and other religious landmarks in Kyiv, including Saint Sophia Cathedral, the Church of the Tithes (the first archeological excavation in Ukraine), the churches at the Cave Monastery, the Transfiguration Church in Berestove, Saint Michael's Church at the Vydubychi Monastery, and the Church of the Three Saints. Mohyla established close cultural and educational ties with other Orthodox countries, particularly with his native Moldavia and Wallachia. In 1641 he sent printers and a press to Iaşi, where they printed the first Romanian book, Cazania lui Varlaam (The Sermons of Varlaam, 1643). Mohyla was instrumental in the founding of a college in Iaşi, to which he sent professors from the Mohyla College led by Sofronii Pochasky. 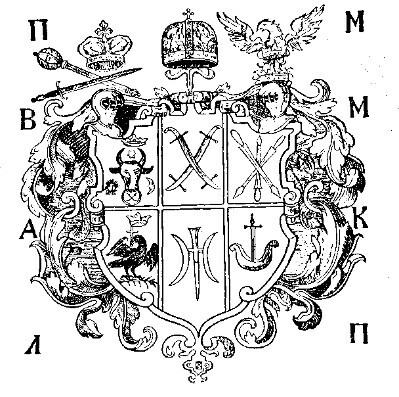 In 1635 he gave Wallachia a press, which was established with the help of Ukrainian printers in Câmpulung, and in 1637 he gave the Govora Monastery a press. They printed church books modeled on the Kyivan editions. Mohyla bequeathed most of his estate to various church institutions, mostly to the Kyivan Mohyla College. He was buried in the Dormition Cathedral of the Kyivan Cave Monastery. A referral to this page is found in 75 entries.